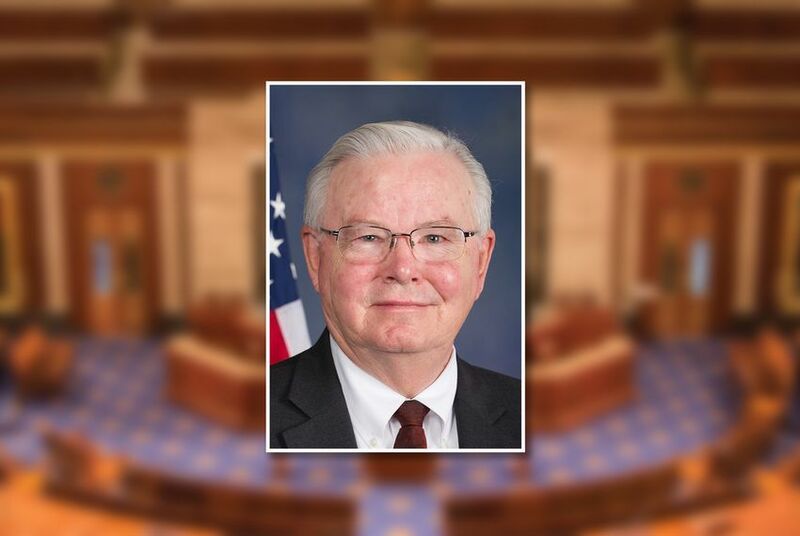 WASHINGTON — Embattled U.S. Rep. Joe Barton, R-Ennis, announced his retirement from Congress on Thursday. "I am very proud of my public record and the many accomplishments of my office. It has been a tremendous honor to represent the 6th District of Texas for over three decades, but now it is time to step aside and let there be a new voice." "I am announcing today that I will not seek reelection in 2018," he said. "To the people of the 6th District, thank you for your support and friendship." Barton's decision was first announced by The Dallas Morning News. The drumbeat for Barton’s exit came from local officials, including state Sen. Konni Burton, R-Colleyville, and Tarrant County GOP Chairman Tim O'Hare. Two of his Texas Republican colleagues, U.S. Reps. John Carter of Round Rock and Mike Conaway of Midland, called on Barton to resign immediately, according to The Hill newspaper. His retirement sets off a race to replace him, one that is all but certain to be determined in the GOP primary. Two Republicans, perennial candidate Monte Mitchell and former Navy pilot Jake Ellzey, entered the race in recent days. Tarrant County Tax Assessor-Collector Ron Wright, a former Barton staffer, told The Texas Tribune on Thursday that he would also run for Barton's seat. Potential candidates have a brief window to make up their minds — filing ends on Dec. 11. A longtime Texas oil and energy man, Barton graduated from Texas A&M University with an industrial engineering degree and later received a master’s in industrial administration from Purdue. After working in the private sector, he worked in the U.S. Energy Department. Barton ran successfully for the U.S. House in 1984, when Phil Gramm vacated his seat to run for the U.S. Senate. In his 33 years in Congress, Barton was known for his staunch conservatism. His power in the chamber peaked as Energy and Commerce chairman in the mid-2000s, when he was instrumental in passing major GOP energy legislation. Although his influence has waned since losing the chairmanship due to term limits, he has expressed pride in his role as the Texas delegation’s most senior member, assuming a spokesperson role for the delegation. Barton also chaired the House Oversight and Investigation Subcommittee, a position from which he helped enact bipartisan legislation to modernize the Food and Drug Administration and encourage the agency to review new medical innovations in a timely manner. Barton ran unsuccessfully for Senate in 1993, finishing third in the primary. He considered a second shot at the Senate in 2001 following Gramm’s retirement. He ultimately passed after the Bush White House made clear it favored John Cornyn, who was then the state’s attorney general. In 2006, he made a brief bid for House majority leader, but withdrew after learning John Boehner had enough votes. As the manager of the congressional baseball team, Barton and his two sons were on the field this summer when shots rang out during one of their practices. U.S. Rep. Steve Scalise of Louisiana, a staffer for U.S. Rep. Roger Williams of Austin and two Capitol Hill police officers were shot. Barton said his sons took cover, one under an SUV and the other in the batting cage during the shooting. He attributes his safety to the Capitol and Arlington police officers on duty that day. Barton is the seventh member of the delegation to announce they would not seek re-election in 2018. U.S. Reps. Sam Johnson, R-Richardson; Lamar Smith, R-San Antonio; Gene Green, D-Houston; Jeb Hensarling, R-Dallas; and Ted Poe, R-Humble, announced their retirements this year. U.S. Rep. Beto O'Rourke , D-El Paso, is leaving his seat to run for Senate. With those departures, the Texas delegation will start the next Congress with at least 156 years less seniority than this term. The new dean of the delegation is U.S. Rep. Eddie Bernice Johnson, D-Dallas, who was sworn in on Jan. 3, 1993. Disclosure: BP has been a financial supporter of The Texas Tribune. A complete list of Tribune donors and sponsors can be viewed here.